Rolf Hiller, a graduate in industrial engineering, was Managing Director of Hiller Stuhl- und Tischfabrik GmbH for decades. 1975 Hiller joined the family business, of which in the course of years he took over all shares of the company. Under his leadership Hiller Stuhl- und Tischfabrik became a national and international branch leader. During his career Hiller has contributed to a high degree to environmental protection by inventing new heating and painting methods. Since 2006 within a scope of a MBO the shares of the company have been gradually disposed. 2011 the well-planned follow-up regulation has been completed. Hiller continues to be a member of the company’s Supervisory Board. 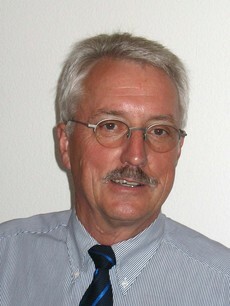 2000, Hiller cofounded the FHE Windkraft GmbH in Freiamt and went on to co-found STP Windkraft GmbH in St. Peter in 2011. Rolf Hiller founded together with Bernd Dallmann the European Environment Foundation.